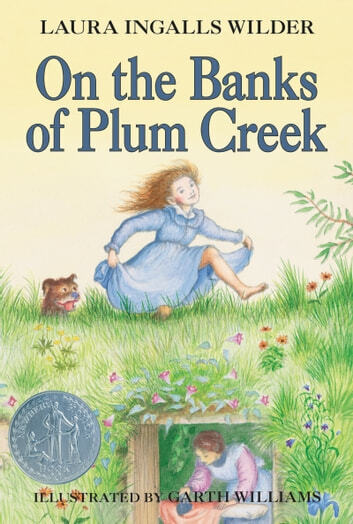 The fourth book in Laura Ingalls Wilder’s treasured Little House series, and the recipient of a Newbery Honor—now available as an ebook! This digital version features Garth Williams’s classic illustrations, which appear in vibrant full color on a full-color device and in rich black-and-white on all other devices. The adventures of Laura Ingalls and her family continue as they leave the prairie and travel in their covered wagon to Walnut Grove, Minnesota. Here they settle in a new home made of sod beside the banks of Plum Creek. Soon Pa builds a wonderful new little house with real glass windows and a hinged door. 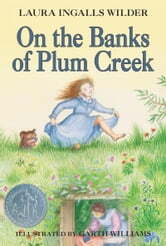 Laura and her sister Mary go to school, help with the chores, and fish in the creek. At night everyone listens to the merry music of Pa's fiddle. Misfortunes come in the form of a grasshopper plague and a terrible blizzard, but the pioneer family works hard together to overcome these challenges.